Boxers are notorious for comebacks. Think George Foreman, Sugar Ray Leonard, Evander Holyfield. And just like these proud, tenacious fighters, the island of South Caicos, a former heavyweight contender in the salt, air travel and fishing industries, is poised to land a championship title in tourism. Sailrock South Caicos is a new development that has actually been “in training” for nearly five years. 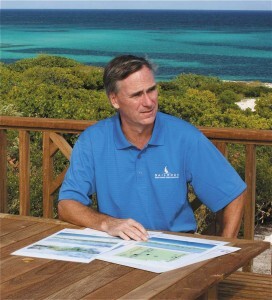 With a cautious, one-step-at-a-time, long-term view of progress, Sailrock’s developers plan to restore to full glory South Caicos’ rich history, spotlight its natural beauty and use this to springboard a low-density, eco-friendly resort community from which residents and visitors will enjoy the authentic Caribbean experience so many seek. The island of South Caicos seems to bridge the gap between the traditionally farming-based Caicos Islands and the salt-producing Turks Islands. Located 40 miles from Providenciales across the Caicos Bank and 25 miles from Grand Turk across the Columbus Passage, South Caicos has the finest natural harbor in the country. At one time, South Caicos produced salt in the vast salinas that cover a large part of the island and exported most of the salt produced in the Turks & Caicos Islands, and the industry thrived from 1850 to the 1960s. Perched close to the TCI’s most productive fishing grounds, the harvesting of lobster, conch and scalefish emerged to drive the economy, with several seafood processing plants currently in operation in Cockburn Harbour. During WW II, the US had a submarine detection station with an air base on South Caicos. (In fact, old-timers recall seeing B-24s and B-17s passing over the island on their way to Brazil.) Caicos Holdings Ltd. later built a bulk fuel storage depot for local fishers and private yachts, and opened the South Caicos International Airport as a refuelling station for private aircraft in 1964. The airport gained a reputation as one of the busiest and best refuelling points between Florida and South America, with over 200 aircraft passing through each month at its peak. The Jursteiner Home overlooking Cockburn Harbour was converted into the Admiral’s Arms inn to accommodate the increasing number of visitors, and other guest houses and a hotel soon followed. Interestingly, at one time South Caicos was the only island in the TCI where international flights landed, including a Bahamas Air weekly flight from Nassau and Air Florida, the country’s first commercial jet service. South Caicos also played host to the first reigning monarch to visit the country, when HM Queen Elizabeth II and HRH the Duke of Edinburgh called there in 1966. This historic visit inaugurated the South Caicos Annual Regatta, a country-wide celebration of sailing and merriment that continues to this day as the oldest standing annual event in the TCI. Surprisingly, tourism never caught on in a big way in the “Big South.” Its vast, untouched beaches, in some areas lined with spectacular limestone bluffs, rival those on Providenciales, and the pristine waters off its shores hold little-explored dive sites teeming with marine life and fantastical coral formations. Bonefishing on the flats is legendary, and the lush natural landscape is a wealth of thriving tropical vegetation, ponds and ocean inlets, with flamingos, pelican and osprey common sights. Many of the historic salt-era buildings in Cockburn Harbour, including private homes and government buildings, are still standing in spite of assault by time and the hurricanes of 2008. 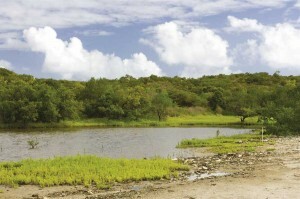 Other areas of historic intrigue include the Boiling Hole, a natural source of seawater in the middle of the salinas. Folks are friendly and eager to share a meal, fishing tale or bit of gossip with visitors or students from the US-based School for Field Studies marine biology center here. South Caicos’ vast potential was tantalizingly enticing to developers Colin Kihnke, Tom Weeks and Ted Weldon, all partners in Sailrock Development Ltd. and long-time associates through their successful Chicago-based real estate/development operations. Colin has been a leading Chicago developer through CMK Companies Limited (www.cmkcompanies.com) for over a decade, successfully developing over 2,500 condominiums and single-family homes. Colin first visited Providenciales for a week in 1998 with his fiancé. Although they intended the trip as an enjoyable diving adventure, they came away having fallen in love with the Islands. A serious case of the “escape to the Caribbean” bug bit in 2003, and over the next several years he purchased through local realtor Jim Brown of ERA Coralie Properties approximately 1,475 acres of privately owned land in South Caicos. 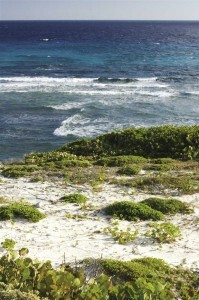 Over 1,275 acres of this land was bought from old-timer Bryan Reid, who had originally bought the vast holdings from the South Caicos Salt Company. Since the mid-1990s, Ted Weldon and Tom Weeks were also successfully developing properties in the Chicago area, as leaders of Related Midwest, a premiere Midwestern real estate firm. Ted and Tom joined forces with Colin in 2007, having also been captivated by the beauty and authenticity of South Caicos. The trio started hashing out an ambitious master plan that hoped to create a win-win situation by incorporating Crown Land mostly located inland from the oceanfront property CMK had acquired from Mr. Reid. The group’s first step was to start selling land in Bell Sound Estates, a 289 acre site overlooking the Bell Sound Nature Reserve and the Caicos Banks, with a public beach at its east and north ends. In this area, 236 home sites in four “villages” are on offer, with completed improvements including roads and underground electricity and phone/cable lines. In spite of a very low-key marketing effort, from 2006 to early 2008, over 50% of the sites were sold, with many already having seen significant appreciation! A building program is slated for owners here in 2012. Sailrock cautiously tested the market in 2010 and felt the time was right to start marketing more aggressively. This time, the focus is on selling home sites on 775 acres of untouched land on South Caicos’ 2 1/2 mile long, slender northern peninsula. The Peninsula has over eight miles of shoreline, including two miles of pristine beach and over 100 feet of elevation at its highest point. We recently went on the Sailrock “Grand Tour,” which was offered to local realtors in January 2011 and can attest that this area is truly stunning. We bounced along the coarse road to the site, lurching through bush and past the stray donkey (roaming horses and donkeys are remnants of the salt industry), to be rewarded by the dramatic scene of the Atlantic Ocean’s azure blues framed between limestone outcroppings and lavish vegetation. The terrain here transitions from dunes to high rocky ridges, filled in with a blend of natural plants ranging from cacti and sea grapes to the rare dwarf palm tree. Home sites average an acre in size and have been carefully surveyed in tiers, with each boasting a breathtaking view of the ocean, Caicos Bank or both. Nowhere else in the TCI will you find such a short distance between the ocean and the sound. Strict building guidelines promise to preserve the stunning natural beauty. Careful spacing and height restrictions will help ensure that views remain pristine. Protecting natural vegetation is a must and the use of low-level LED street lighting will allow residents to enjoy magnificent star gazing and moon rises over their stark ocean backdrop. Sunrises and sunsets are similarly spectacular, as is whale watching during the winter months, as migrating Humpbacks commonly pass directly in front of the peninsula. Prices in Sailrock are currently among the best in the Caribbean, Ted explains, in part because there is no debt on any of the acquired property. This not only relieves the pressure to develop quickly, but also allows Sailrock to offer exceptional financing for those who want to invest in land. For instance, home sites in Peninsula Passage are priced from $85,000 to $125,000 for overlook; from $165,000 to $225,000 for ridgetop and from $200,000 to $435,000 for oceanfront. Qualified purchasers can buy for as little as 5% down. However, the savvy developers are mindful that a strong initial phase of villa construction is important to marketing efforts and efficiency of the infrastructure implementation. With this in mind, Sailrock has discounted the price of the land 70% for buyers who will purchase a developer-designed and built villa at the same time. They can select from a variety of two, three and four bedroom villas, each crafted to maximize views to both the ocean and the island landscape and to promote outdoor living, with patios, covered porch and swimming pool. In keeping with Sailrock’s eco-friendly approach, they utilize rainwater cisterns, natural ventilation and indigenous plantings, which also help to reduce strata costs. Priced from $570,000 to a bit over $1,000,000 (including the land! ), they become an “offer that’s too good to pass up.” Local real estate brokers agree, including Joe Zahm, president of Turks & Caicos Sotheby’s International Realty, who several years ago was a Sailrock skeptic (prior to his “jaw-dropping” tour of Sailrock land) but is now whole-heartedly onboard. In fact, of three trips to show property over the 2010 holiday season, three sales were made. Along with miles of nature trails through large areas of preserved green space, Sailrock residents will delight at the sweeping view of the East Bay Cays from the end of Sailrock’s peninsula property, an enticement to secluded beach trips and superb bonefishing on Big Cay. Near the northern edge of the Sailrock property, Ted envisions a small boat dock for launching sea kayaks. Also planned for the early phase of Sailrock development (think 2013), is a small resort on 43 acres at the far southern part of the peninsula. Situated atop a 40 foot ridge, the property includes over 1,350 feet of white sand beach and another 1,100 feet of water frontage on Bell Sound. With only 103 units (projected to be constructed in four phases to accommodate demand), this translates into an extremely low density property. It will consist of one and two-story buildings containing resort studios and one bedroom suites, along with two, three and four-bedroom beachfront villas. Over $1/2 million has already been spent to upgrade the stone walls and start restoring homes in the historic district, including the old customs warehouse on the waterfront. In fact, 2% of the purchase price of each Sailrock land transfer is earmarked as an Island Restoration Contribution, to go into a non-profit foundation for island-improvement purposes. Weldon says the master plan envisions a vibrant community center where Sailrock residents and visitors can interact, watch the fishermen bring in their catch and enjoy native dishes in locally run restaurants. Plans call for buildings along the existing promenade to be renovated so Islanders can operate small shops, including a fish market, while the hurricane-damaged boat dock in Regatta Village to be rebuilt with the addition of a gazebo. Future plans include enhancement of the public beach and an expanded marina. On our tour, we also visited the Highland House, one of the older structures on the island and a remnant of the Bermuda salt barons who settled the Salt Islands in the 17th century. 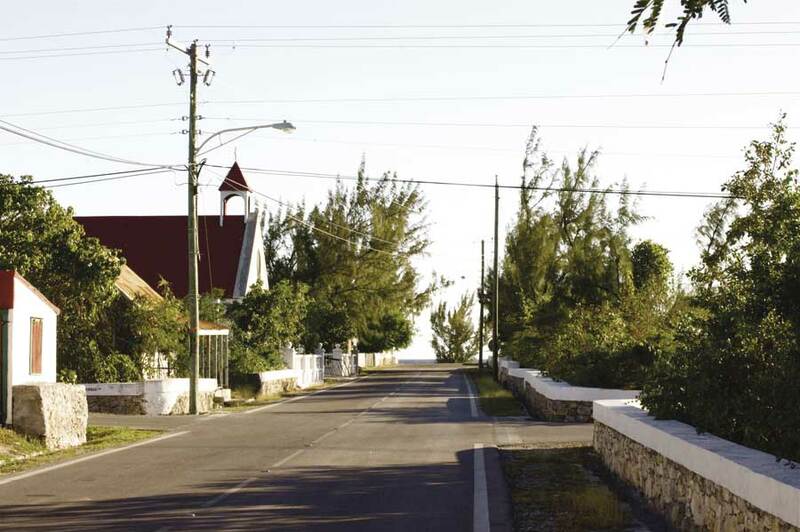 This fascinating historical structure serves as a touch point for the essence of South Caicos. Although fruition is years away, Ted is proud to boast that acclaimed golf course architect Tom Doak has already agreed to design a golf course in keeping with the rugged landscape surrounding the highlands; Highlands House itself will become a restaurant/club house. Only time will tell. The Sailrock developers must earn the confidence of South Caicos residents that they have the island’s best interests at heart. Beyond their donation of materials and manpower to the 2008 hurricane relief efforts, they must convince residents and purchasers that their word continues to be sound and they will deliver as promised. I’m from Chicago, too, and I know that we have a lot in common with South Caicos Islanders: pride, tenacity, a big heart and a willingness to roll up our sleeves and do what it take to succeed. I am confident that Sailrock developers can do just that. For more information, visit www.sailrocksouthcaicos.com.